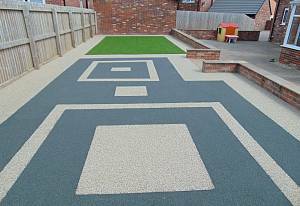 Resin bound paving is a permeable paving solution that can be used for driveways, paths, patios as well as indoors for swimming pools and other flooring requirements. 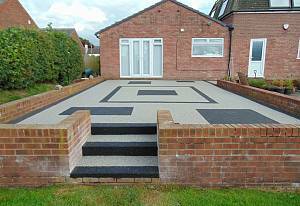 Avoid the need for planning permission under the 2008 SUDS planning order1998 on the paving of front gardens. 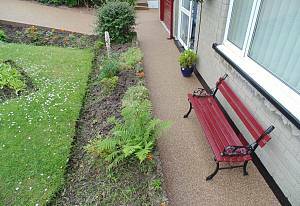 Resin bound paving creates an attractive, permeable and durable surface, allowing water to soak through and drain away. A complete selection of colours to match any property and flooring requirements. 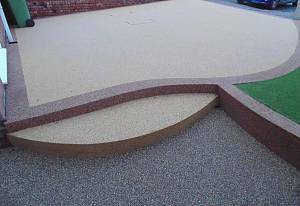 Resin bound paving uses naturally accruing shingle, crushed granite or quartz mixed with formulated standard resin for most colours and for any colour that has white, black, silver or cream a UV stable resin must be used to form a mixture which is poured and hand trowelled to a smooth finish. 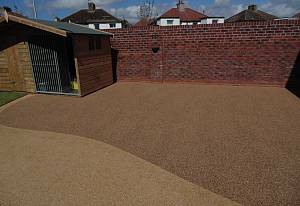 Resin Bound Paving can be laid on concrete, 50 mm of open grade permeable tarmac, on top of existing Block Paving or Type 1 Sub Base. 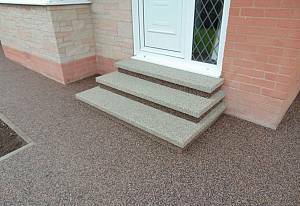 The type of base the resin bound can be laid on for driveways must be a solid surface i.e. concrete, tarmac or block paving. 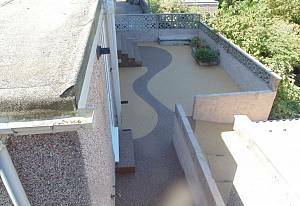 Walkways, patios and all other non-vehicular areas will only require a type 1 sub base with a non-woven geotextile membrane and the laid with your colour choice of resin bound paving. Cumbria Resin offers the perfect perfect alternative for those looking for a natural looking, hard-wearing lawn every day of the year. Artificial grass puts a stop to the endless cycle of weeding, trimming and mowing which is – for so many of us – a drain on our free time, artificial grass for gardens makes the ideal alternative to real grass for today's modern society. It offers the look and feel of real grass, without the time, effort and expense. With an artificial lawn you can enjoy your garden as much as you like, no matter what the weather. 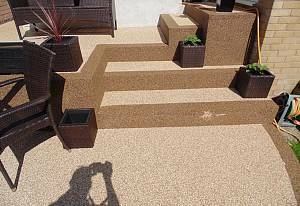 For an instant green and clean make-over, talk to Cumbria Resin now about our range of artificial grass products. Website Copyright © 2016 Cumbria Resin Paving. All Rights Reserved.